COMMENTARY – And then there were two. The last two schools to join the conference—Utah and Colorado — now sit atop the South Division with identical 3-1 conference records. If that wasn’t unexpected enough, the Evergreen State has cornered the market in the North Division with Washington and Washington State as the only undefeated teams left in conference play (both of which have already steamrolled preseason conference favorite Stanford). The race for the Pac-12 title is starting to get really interesting. There is still a lot of football left to play (fortunately, because I’m not even close to being ready for this season to end), but thus far I think Kyle Whittingham may be doing some of the best coaching of his illustrious career. Just cobbling together an effective rushing attack with all of the injuries at running back this year is an impressive feat in and of itself. But costly injuries have not been limited to the backfield, not to mention key players unavailable for other reasons. Utah now faces a challenging trio of games, starting on the road against UCLA this week, home to Washington the following week, and then at Arizona State. Reminiscent of the Utes’ first year in the conference, the season finale against Colorado may decide whether or not Utah gets to play for the Pac-12 title. But as Whittingham consistently insists, let’s just take this one game at a time. Similar to the situation when the Utes played the Trojans, the Bruins are a much better team than their 3-4 record might otherwise indicate. UCLA was the media’s preseason favorite to win the South, but is currently 1-3 in conference play, having dropped three of the last four games. A key factor is whether Bruin quarterback Josh Rosen will be on the field this Saturday or watching from the sidelines again, nursing injuries. UCLA has one of the worst rushing offenses in the country, ranking 126 out of 128 teams. The Bruins only had 47 total yards rushing last week against Washington State, averaging 1.7 yards per carry. One of Utah’s strengths is its run defense, so if UCLA is going to have a chance this week, it’s going to have to do it through the air, and Rosen is a critical component of the Bruins passing game. UCLA will be a much tougher out for the Utes if Rosen plays than if he doesn’t. Game time Saturday at UCLA is 2 p.m. and the game will be on Fox. Speaking of quarterbacks, former Utah quarterback Brandon Jones (1994-1996) recently passed away after a fatal bicycling accident in St. George last week. Jones and Kyle Whittingham arrived on the Hill the same year back in 1994, albeit on different sides of the ball. Jones entered the 1995 season as the starter, but was soon supplanted by his roommate, Mike Fouts. Nevertheless, Jones remained to be the consummate teammate and was well respected by Fouts and the rest of the team. 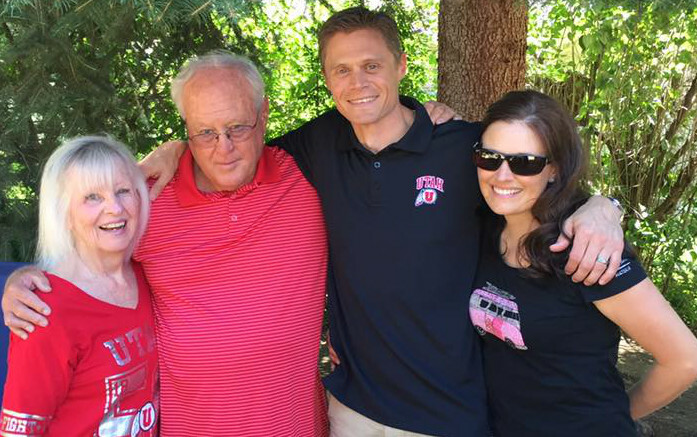 Just a few days prior to his passing, Brandon Jones had travelled to Salt Lake City to be with his former Ute teammates as the 1994 team (which won a then-record 10 games and achieved the highest post-season ranking in history for Utah at the time at No. 8 in the Coaches Poll and 10 in the AP Poll after beating Arizona in the Freedom Bowl) was inducted into the Crimson Club Hall of Fame. Jones had posted pics of the weekend on his Facebook page, along with the statement: “Had to post a few more pics of a great weekend and night with my teammates. Was so fun to get together after 22 years and see the same amount of love for one another now as back then. These guys are truly some great guys and I am honored to have been teammates with them playing for the best coach, Coach Mac. Big thanks to Mac and Vicky McBride for bringing this MAFU family together. We are all better men, husbands, and fathers because of you two. Much love to my MAFU family.” MAFU was an acronym created by Utah Coach Ron McBride that represented what he expected from his teams—Mental toughness, Aggressiveness, Fanatical effort, and Unity. His passing is another reminder that football is just a game, and primarily a means to an end, rather than the end in and of itself for the majority of those who play. Football was one of the means used by Jones to hone his remarkable character and create lasting relationships. Jones will be missed by the people he touched both in and out of the game. Jones lived in the St. George area, where he worked as an operations manager for Performance Diesel Inc., and was bishop of his LDS Ward. He is survived by his wife, Mitzi, and their three children. A GoFundMe page has been created to raise funds to assist the Jones family. 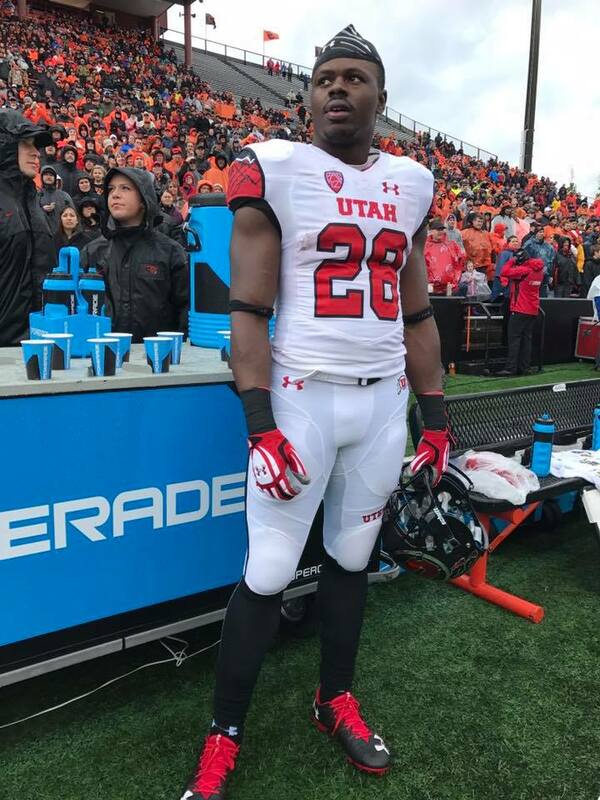 With sincere condolences to the family of Brandon Jones, here’s hoping Utah keeps driving strong to the Pac-12 title with a big win over the Bruins on Saturday.